Want a real easy way to cut your risk of dying from heart disease and other causes by almost a cool 20%? A recent study says you can do just that, simply by eating nuts. 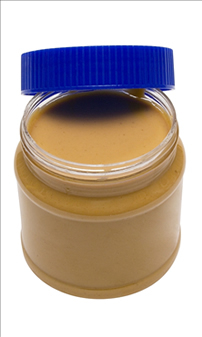 What's more, the nuts and nut butters also provided significant reductions in heart disease deaths as well. This shouldn't be surprising. Walnuts, pecans, and chestnuts are among the plants richest in antioxidants. Walnuts rank first. Other nuts are valuable as well. If you don't go for nuts, consider chickpeas (garbanzos). Researchers have found that they significantly lower serum total cholesterol and LDL cholesterol levels (3.9 and 4.6%, respectively compared to controls supplemented with wheat). This is in the face of lower protein and monounsaturated fat and significantly higher carb intake on the chickpea-supplemented diet, compared to the wheat-supplemented diet. There must be some magic to chick peas, since ordinarily you would expect a significant rise in carb intake to adversely affect these numbers. Action to take: Again and again, the most effective way to reduce your risk involves the least cost — food! Think of adding fresh raw nuts to your diet. In the case of chestnuts, I have no problem with roasting them as the song croons. If you want it in the form of nut butter, be sure it is freshly ground and organic. "Health benefits of nuts: potential role of antioxidants," Blomhoff R, Carlsen MH, et al, Br J Nutr, 2006; 96 Suppl 2: S52-60.